Academic Medicine College - The mission of the Academic Medicine College is to develop an individualized educational pathway for those students who are considering a career in subspecialty Internal Medicine, Pediatrics, or Pathology; or for students who have remained actively engaged in research, enjoyed their STTP summer research project but have not had a chance to continue, or who are considering some type of academic career involving research and teaching. Members of this college includes all specialties; including surgical specialties, with a focus on academic. Acute Care College - The Acute Care College focuses on the knowledge and skills needed to make rapid decisions on acutely ill patients with a focus on the clinical correlation of physiology, anatomy, and pharmacology to acute care. The curriculum consists of the week long Foundations Course at the beginning of the senior year and the year long Transition to Internship Course, consisting of monthly meetings that address didactic sessions focusing on acute management, career preparation seminars, and physician well-being and life strategies after medical school. Typical careers represented by this college are anesthesiology, emergency medicine, adult critical care (cardiology, pulmonary medicine, and hospitalists) and Pediatric Critical Care (cardiology and neonatology). Applied Anatomy College - The mission of the Applied Anatomy College is to develop the knowledge and skills to support a career choice in those specialties in which expertise in anatomy is critical. The typical careers represented by this college are surgery and the surgical subspecialties (i.e. general, gynecology, head & neck, neurosurgery, oncology, ophthalmology, orthopedics, plastics, thoracic, urology and vascular), radiology, radiation oncology, and pathology. The unifying theme is anatomical implications in medical practice. Through organized activities, including personal advising, counseling, and career preparation seminars, the Applied Anatomy College will create a meaningful adjunctive program for the medical school for its fourth-year students. Primary Care College - The Primary Care College's mission is to nurture the development of students who are considering a career in primary care as well as those who want a solid foundation in generalist medicine. 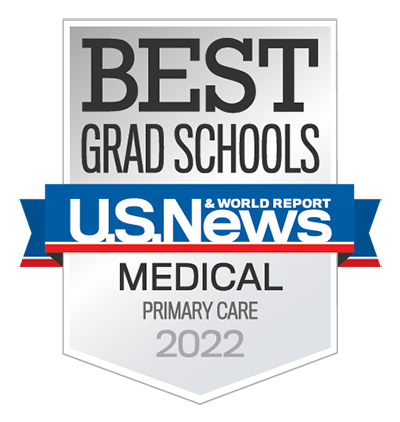 members of the Primary Care College include, but are not limited to, those with interests in general internal medicine, general pediatrics, family medicine, obstetrics/gynecology and psychiatry. As a part of the College, the faculty provide intensive mentoring for the students applying for their residency positions opportunities in community and service-learning activities, international experiences including travel stipends, exposure to public health and public policy, and mentoring on research and other scholarly projects during the fourth year in preparation for Scholarship Day. Drew Urban Underserved College-- The mission of the Urban Underserved College is to provide excellent didactic and practical training and career counseling for individuals interested in serving urban, underserved populations. Students enrolled in the College also complete a longitudinal research thesis project. While the overall theme of the thesis project is to eliminate health care disparities, students have a wide latitude to choose research projects and mentors across a spectrum of specialties with application to underserved communities. The fourth-year medical students present their research thesis results at the Annual Medical Student Research Colloquium. College activities include clinical skills workshops, mentorship support programs dinner seminars, and community service. All senior students must successfully complete the College Foundations course in order to graduate and to enroll in 300- and 400-level coursework. This week-long course is the first week of the MS-4 curriculum and focuses on the development and reinforcement of core clinical skills that will be used in sub-internship rotations. The attendance policy for this course can be found here. All senior students are required to complete a three-week, 400 level Intensive Care Unit rotation from a list of approved rotations. In order to pass the ICU rotation, students must successfully complete a simulation and written exam on the final day of the ICU rotation. Students may not request an excused absence for the day of the ICU examination. If there is an emergency that will not allow a student to take the exam, it is the student’s responsibility to contact the ICU exam coordinator (Jenny Yoo) and ICU exam director (Dr. Scott Hu - scotthu@mednet.ucla.edu) to arrange another date to take the ICU exam. Students who enroll in more than one ICU elective should take the ICU exam with their first ICU rotation. All senior students are required to submit an abstract and present a poster based on individual scholarly work for Senior Scholarship Day. This may be on-going work that the student has done or a new project. In addition to traditional clinical and basic science research, scholarly work can include quality improvement or medical education projects, case reports, or other scholarly work done with a faculty mentor. Any questions regarding selection of an appropriate scholarly project can be reviewed with the College Chairs. The College Chairs will also work with those students who want to develop a new project for the year and will provide guidance on preparing for presentation on Senior Scholarship Day. The colleges will be holding a series of evening seminars addressing multiple topics throughout the course of the senior year. They will focus on a number of subjects, ranging from preparation for the residency application process, to the development of advanced clinical skills to the discussion of issues related, to career development and health policy, to name just a few. All senior students must attend 6 total evening seminars throughout the course of the year. This is a graduation requirement and students will be asked to document the evening seminars that they attended. In addition to the aforementioned requirements, each college has specific requirements as well. These are covered during the Intro to Colleges mandatory class meeting in the third-year. All senior students must complete the Foundations for Internship capstone course in order to graduate. This week-long course is designed to review and assess proficiency in key skills and activities that will be vital to functioning as a resident physician from the first day of internship. The attendance policy for this course can be found here.